he was born in Mississippi, raised in Chicago. This is his debut recording, and what a great album this is! His music is full of respect for the old masters that have tutored him, amongst them Jimmy Rogers. Only three covers, two of them written by Little Walter. 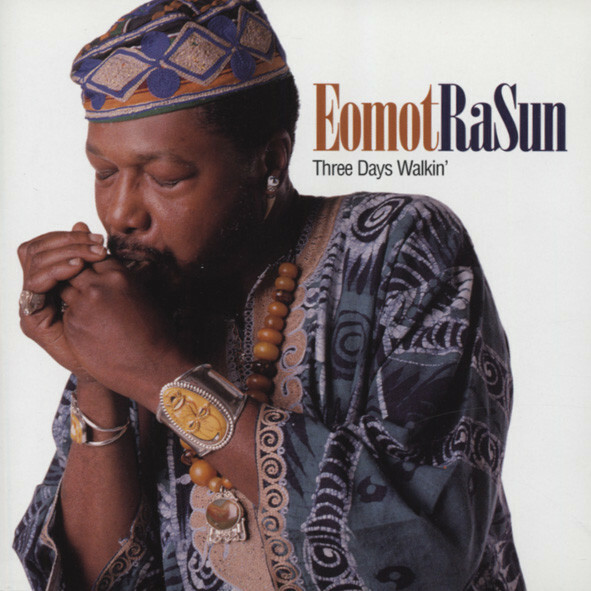 Eomot plays in the style of Rice Miller, or Walter Horton. A beautiful record that comes with a warm analogue sound. EOMOT RaSUN - hca/voc, JIMMY D. LANE - gtr, BOB STROGER - bass, SAM LAY - drums. Customer evaluation for "Three Days Walkin'"